Soul Divide launched in August 2014. The duoʼs first released was the "Catch The Light EP”. 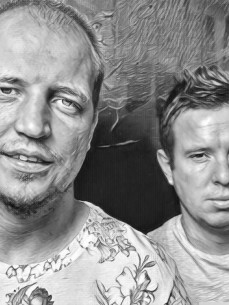 It was a huge track for them in 2015 & was licensed to appear on several compilations including Defected Bar grooves, Soul heaven, Toolroom & Cr2. This has brought them massive support from the likes of Sam Divine,Low Steppa,Copyright and Roger Sanchez. "Catch The Light" has also had plays on BBC Radio1, Rinse FM & Defected Radio. The Soul Divide sound has a massive house influence, cleverly crafted with bumping grooves,big drums and devastating baselines. 2015 was a busy for year for Soul Divide, with music signed too the likes of King Street, Amplified Records, D-Vine Sounds,Black Rock & Plus Recordings. They also played at many sold out festivals and clubs nights such as Soundclash,Mutiny,Ministry Of Sound & The Lightbox in London. 2016 is looking even bigger for Soul Divide with EP”s coming out on Simma Black,Audio Rehab,Phoenix Music & Freakin 909.They have also been asked to remix a track for the house legend Eddie Amador.